Have an idea to expand perspectives or create greater social inclusion in your community? Let us support you with $1,000 to get started, no strings attached! Beyond funding, you’ll also receive opportunities to showcase your idea, free venue space to hold your events and much more. Join our mailing list to be notified when the next grant call starts. 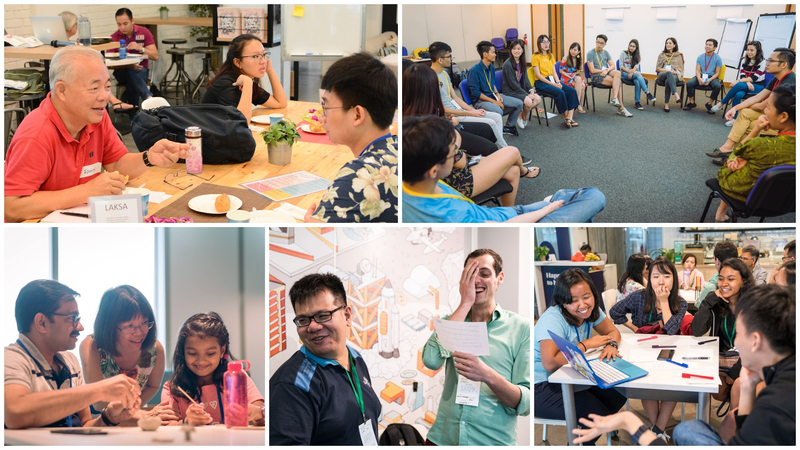 A full day of innovative and immersive activities specially designed to help participants learn about Singapore’s most pressing social issues, from migrant workers to climate change, beyond the usual talks and workshops. Participants had to choose between 4 themed tracks, each hosted at a different venue and containing 3 activities covering a diverse range of social issues, such as a feast with seniors and poverty simulation. In all, a total of 17 of our changemakers collaborated to put on 12 activities across the 4 tracks, with over 130 participants going through the day’s activities.